Malibu Rocky Oaks Vineyard has one of the most beautiful estates in Los Angels. Brides are so fortunate to have a room to get ready in with gorgeous views. 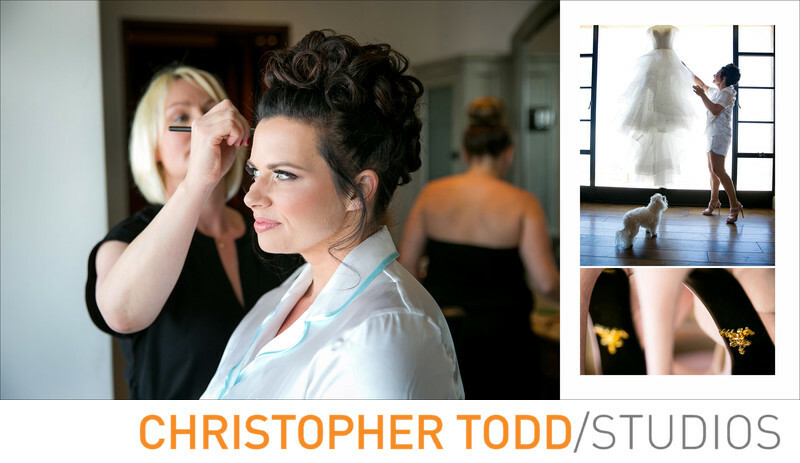 In this photo the bride is getting her hair and makeup done before her ceremony. The bride had her fur baby with her. Love the photo of the bride looking at her gown with her dog in the shot.